Wedding Cards are the perfect way to announce to the whole world that the would-be - bride and groom are finally ready to tie the nuptial knot. Every couple wants their wedding card to look unique and elegant. Hence, these cards are exquisitely designed and in-fact set the tone for this big event in an individual's life. An Introduction - Indian Wedding Card : The wedding cards give very specific details to the guests about the wedding schedule i.e. the venue, date, time of the marriage etc. Mostly, the Indian wedding cards contain some holy mantras or picture of Lord Ganesha to invoke a religious feeling and seek the blessings for matrimony. Nowadays people shell out a large amount of money to make the wedding invitation card look the best. There are numerous online companies that are offering exclusively designed wedding cards. Indian wedding cards are made available in varied designs, sizes and colors to suit everybody's preference and budget needs. Nowadays, these cards are especially crafted by designers who have knowledge of the latest trends and can the most unique and stylish designs. 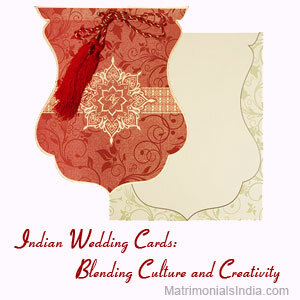 What Needs Your Focus While Selecting An Indian Wedding Card? Choose from variety of fabrics i.e. velvet, tissue etc as per your preference for the creation of wedding cards. Pay due attention to the words and quotes that you may want on your wedding card .Also, various printing options are available such as foil printing, screen printing etc. you can even get the cards hand-made or hand-written, thermo graphed or engraved and even get it personalized by including your photos. Besides, you can also select a theme for your wedding invitation card too. Apart from devoting time to venue decoration, apparels and accessories for the big day, nowadays the bride and the groom take extra efforts and pain on selection of their wedding cards too. Searching designs online is a good choice to get most options and that too in your budget. 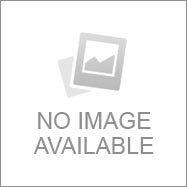 Hi, This is Deepak from orissa, I love your wedding card and blog. This is very beautiful and awesome. Thanks for sharing..